I am considering getting my wife a RO too. She loves wearing my 15400, but it's a bit on the large size for her (not that it prevents her from using it). 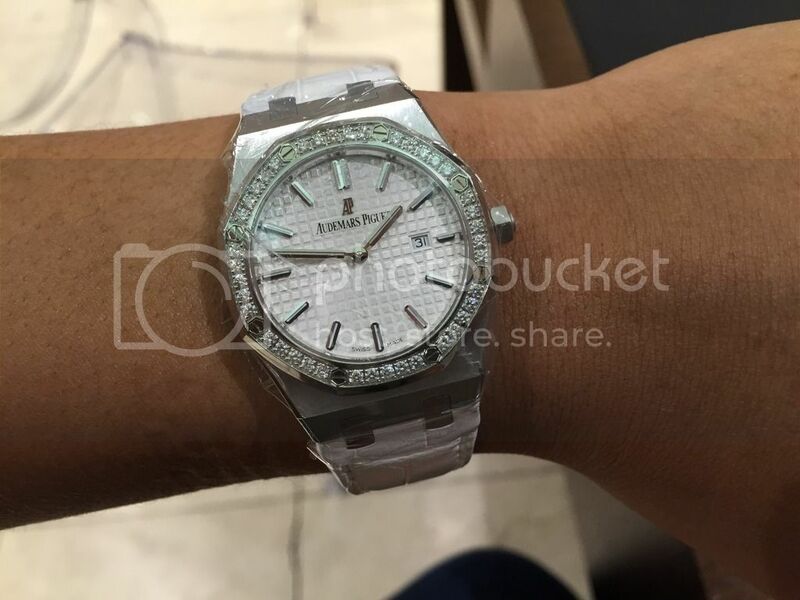 Since there are no ADs anywhere close to where we live and I would rather make a surprise, I was wondering if anyone could share pictures of the 39mm 15300 of the 37mm 15450 in a 15,5cm / 6,2" inch wrist. 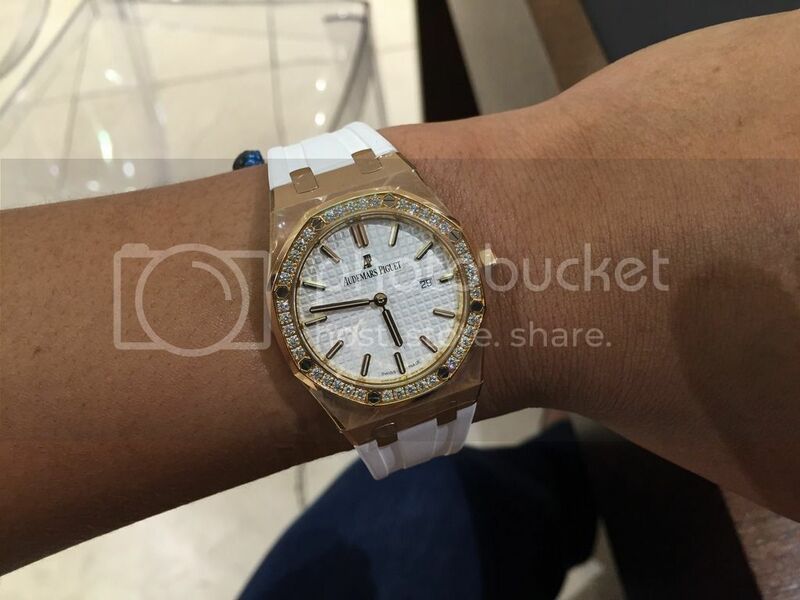 Hi Andre, what I can tell you is that the 39mm size with the integrated bracelet fits about perfect on my wrist which is about 7". Of course its all a matter of personal preferences. If I were you, for about the same price, I would stick to the ladies models for the ladies. At 33mm they are wonderfully proprotioned and finished. 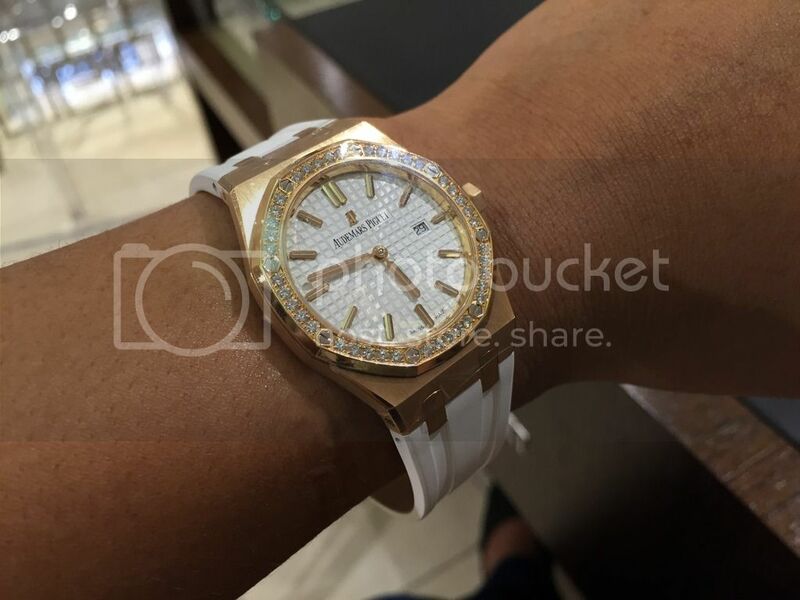 My wife's wrist should be about the same size at +6" and it really fits nicely. 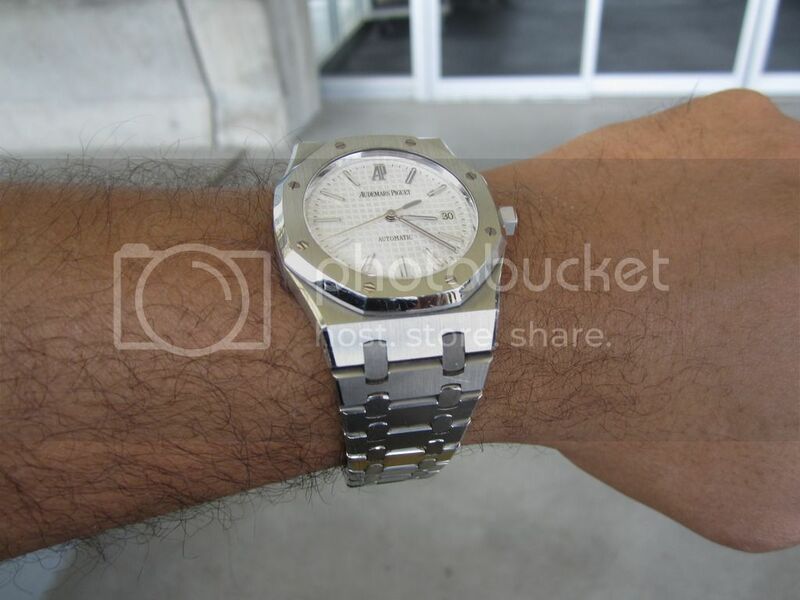 That royal oak design is just fabulous at any size. I am actually leaning towards the 37mm model now. 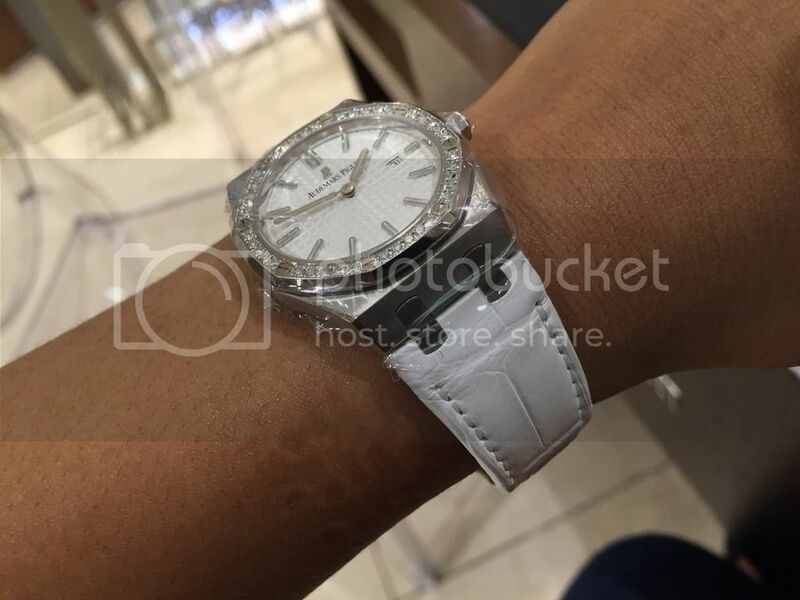 I have a similar size wrist and chose the 39mm in the discontinued day date. I couldn't be happier with the way it fits. Next Topic: Ellen wearing AP? ?